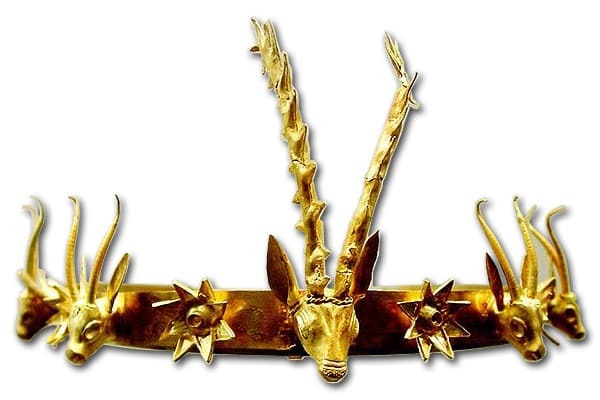 A diadem is a band style head ornament worn across the brow. Diadems were worn by both men and women in ancient times and motifs included garlands and wreaths. The term diadem is from the Greek diadein – to bind around. Methods of manufacture included repoussé and filigree and many were gem set. They were used by Greeks and Romans and were worn by royalty. They continued to be worn as a symbol of sovereignty throughout history. The diadem was re-popularized during the 19th century as a symbol of merchant and industrial wealth.